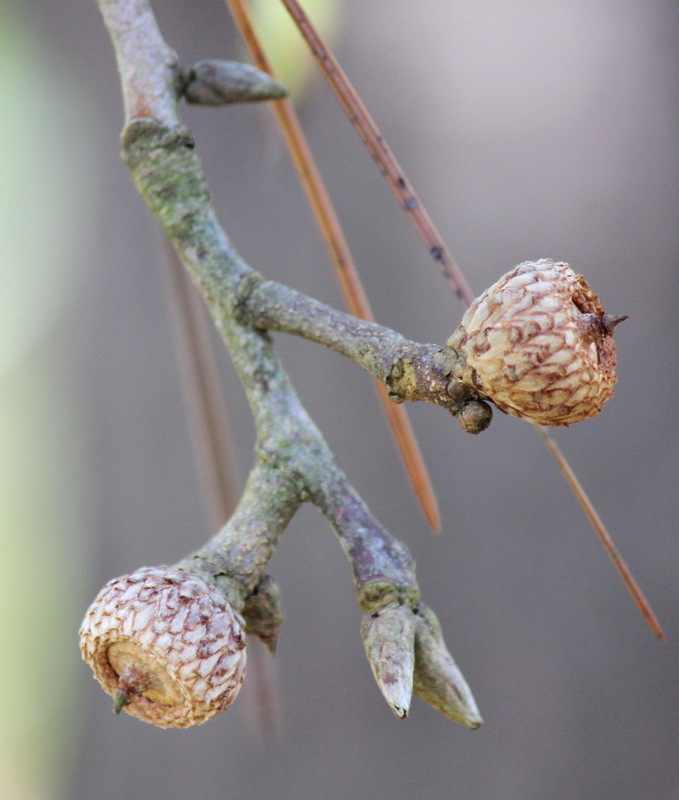 Young acorns and buds of Turkey Oak, Quercus laevis. 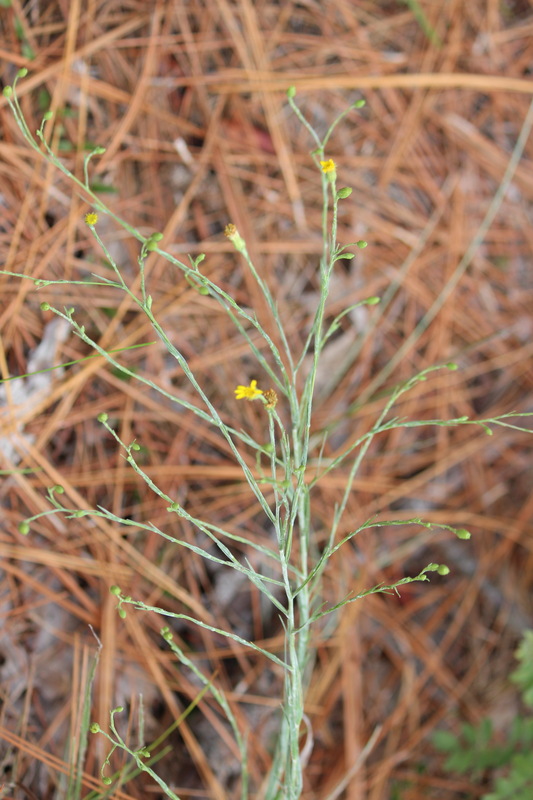 Grass-leaved Golden-aster, Pityopsis graminifolia. Lovely, silvery leaves and stems. How small can an area be to support an ecological community or system? Obviously, this depends on organism scale, as well as how ‘community’ and ‘system’ are defined. (Think the Eames’ classic, Powers of Ten.) If belly-buttons, armpits, foreheads, and toes can host wildly unique fungal/microbial/bacterial communities on a single body, just imagine what is possible in a tenth of an acre of sandy suburban soil. Without an ecologist’s education, rigor or attention span, that’s what crossed my mind while pulling over to explore a ‘weedy’ corner of an otherwise groomed suburban neighborhood. Among the homogeneous ‘traditional southern landscape’ blur of crap myrtles, azayas, daylilies, and zelkova, here’s a plant association that made itself, a relic of what the larger area probably had been. 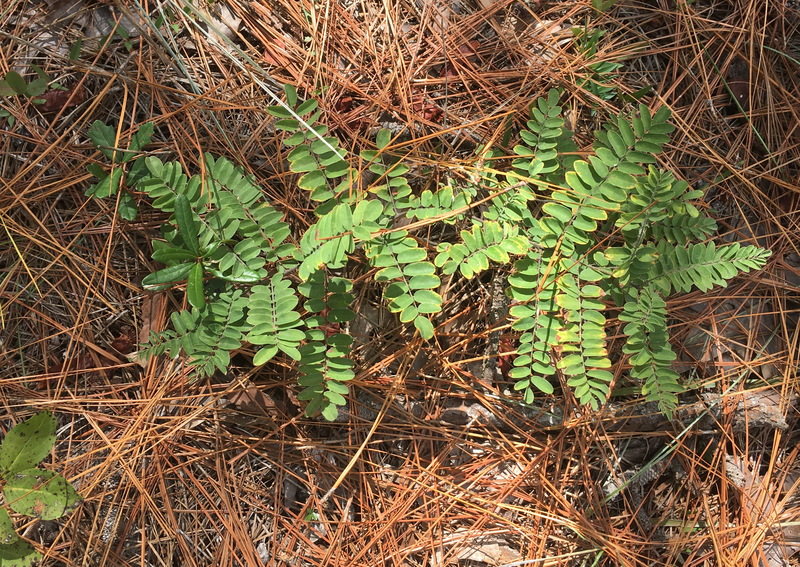 Dwarf Indigo-bush, Amorpha herbacea. 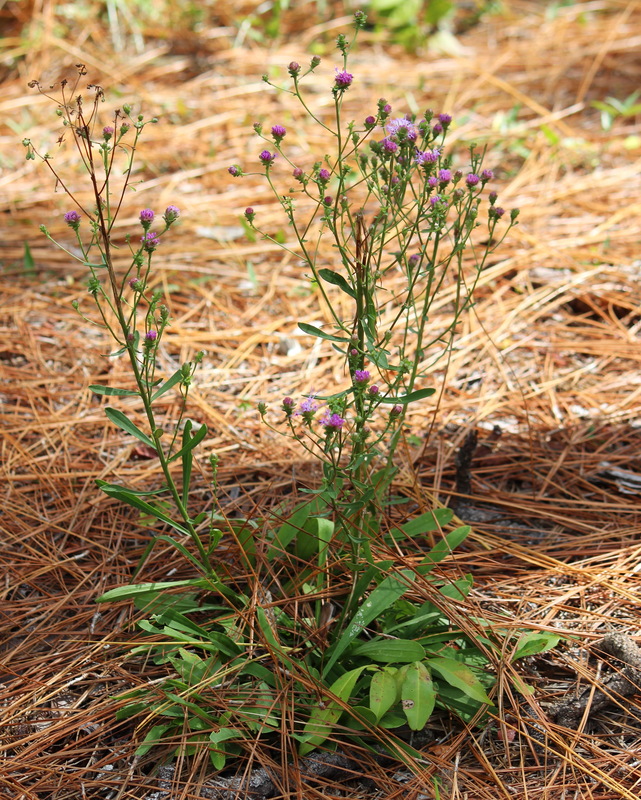 This species sports spikes of bluish purple flowers in the summer. 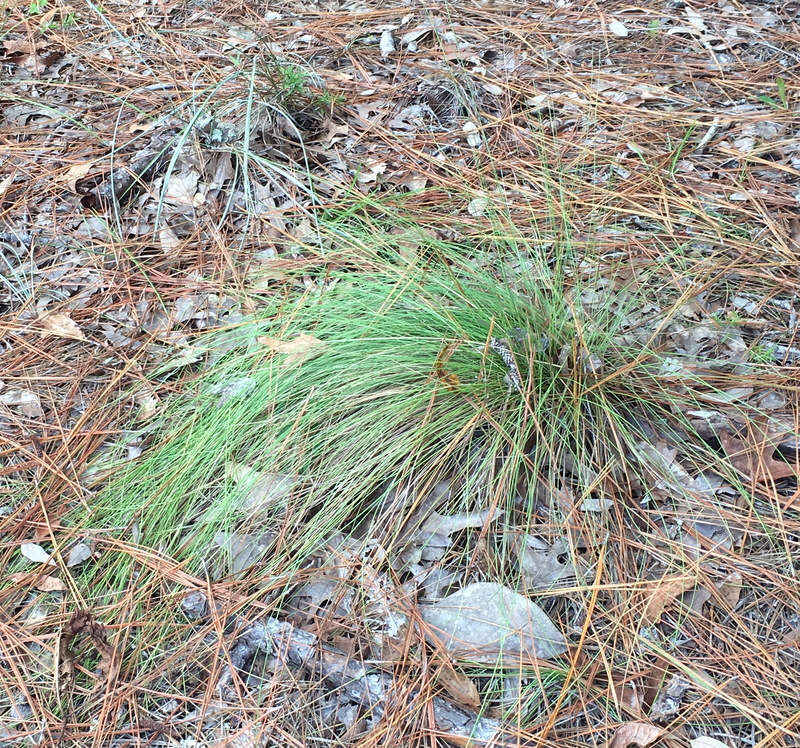 On this 1/8- acre under the Longleaf Pine, P. palustris, and Turkey Oak, Q. laevis, we found Amorpha herbacea / Dwarf indigo-bush, Carphephorus bellidifolius / Sandhill Chaffhead, Aristida beyrichiana / Southern Wiregrass, Sericocarpus tortifolius Twistedleaf / White-topped Aster, Solidago odora. Licorice Goldenrod and Pityopsis graminifolia. Grass-leaved Golden-aster. Sandhill Chaffhead, Carphephorus bellidifolius. 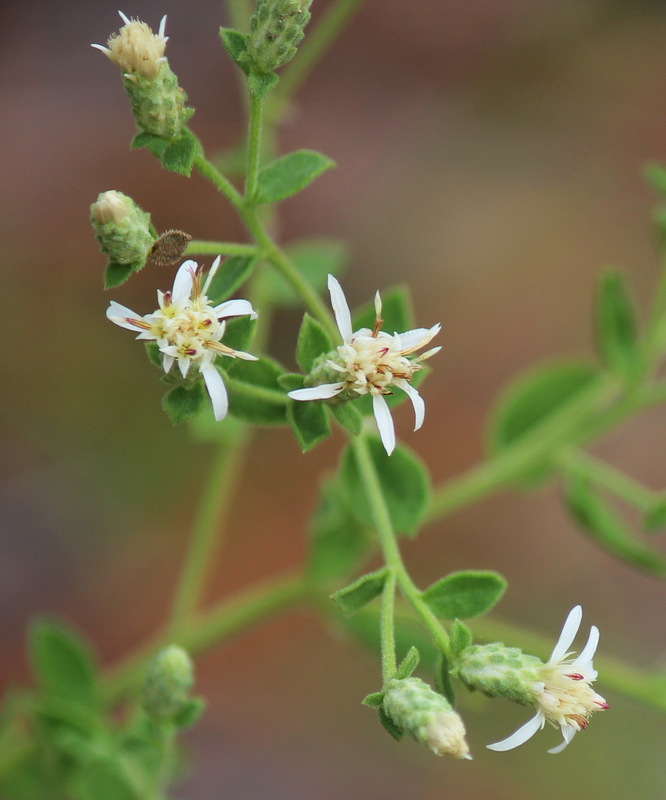 Header image is a close-up of the flowers. A tiny patch, but with enough visible plant species on a late summer day to characterize this sandy ridge as mesic pine savanna, [coastal plain subtype], and xeric sandhill scrub [coastal fringe subtype.] (Schafale, Guide to the Natural Communities of NC, 4th Approximation 2012.) These are just a couple of the 25 or so distinct plant communities that define our region’s natural areas. 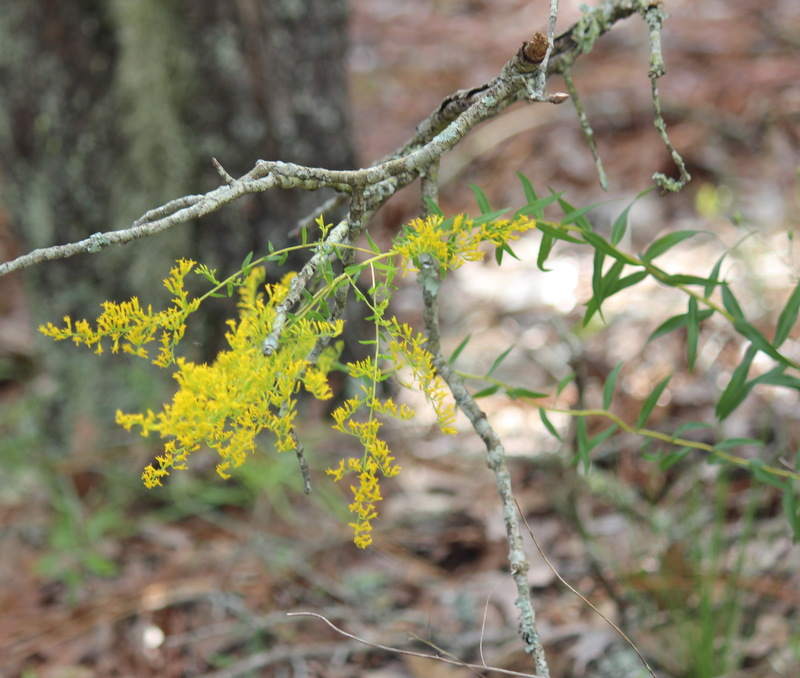 Licorice Goldenrod, Solidago odora. Yes, the crushed leaves smell like licorice! Every day in SE NC, land-scraping in the name of economic development continues, and there are fewer contiguous areas of habitat. The fabric of suburbia is woven with strips of sod, ‘sight triangle’ wastelands, and gaudy competing subdivision entries, all in service to cars. But every once in awhile, a ‘neglected’ area reveals a gem – an ORIGINAL southern landscape. Are these little bits considered viable habitat patches? Well, it depends on your species, your size, and your point of view. Do they add up to something worth saving? Ask your local planning authority. 8 feet of lettuce, plus some bugs. Lots of rain = snails, frogs, snakes, and turtles.